In March 1689, James II landed in Ireland aiming to re-take the British throne from his son-in-law King William III. James had been deposed the previous year during the Glorious Revolution. This royal rift had split Scotland’s loyalties. The Presbyterian Lowlands favoured William, but many of the Highland clans rose in favour of James. On 14 March 1689, a convention in Edinburgh declared in favour of William. Five days later, it took the Earl of Leven just four hours to raise a full regiment of foot to defend Edinburgh against the clans. The regiment saw its first action just over four months later at the Williamite defeat at Killiecrankie (1689). Its bravery at the battle also gained it the unique privilege of being able to recruit in Edinburgh without first seeking the Lord Provost’s permission. 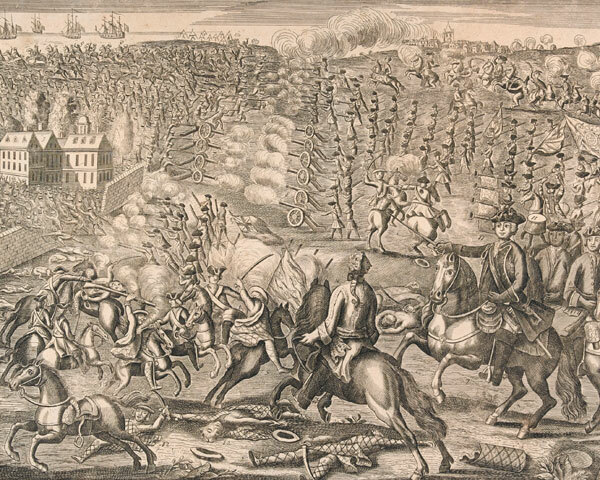 William deployed the regiment to Flanders in 1692 to fight James’s French allies. It fought at Steenkirk (1692) and Namur (1695), where it lost over 500 men after the enemy blew up a tunnel underneath it. The regiment fought at Sheriffmuir in the First Jacobite Rebellion of 1715, and then garrisoned Ireland and Gibraltar. It suffered so severely in the Siege of Gibraltar in 1727 that its few survivors had to be drafted to another regiment while its officers went home to re-recruit. 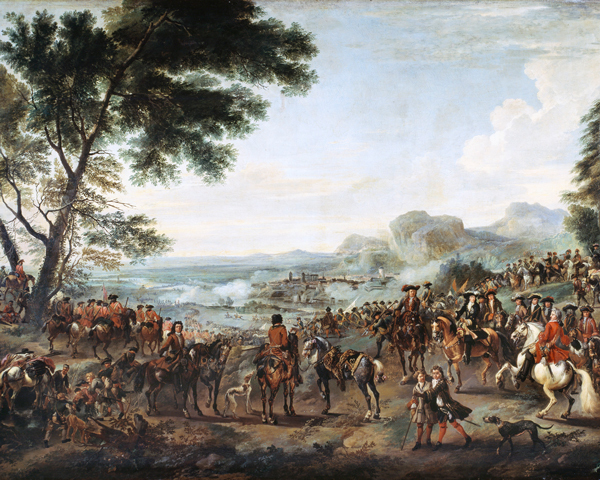 In the War of the Austrian Succession (1740-48), it was back in Flanders, fighting at Fontenoy (1745). It then returned to Scotland during the Second Jacobite Rebellion (1745-46), serving at Culloden (1746). In 1751, it was given the number 25 in the line infantry order of precedence. 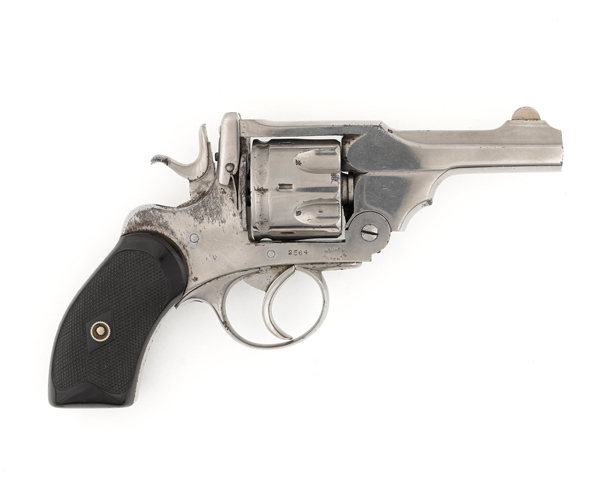 Eight years later, it saw action at Minden (1759) during the Seven Years War. 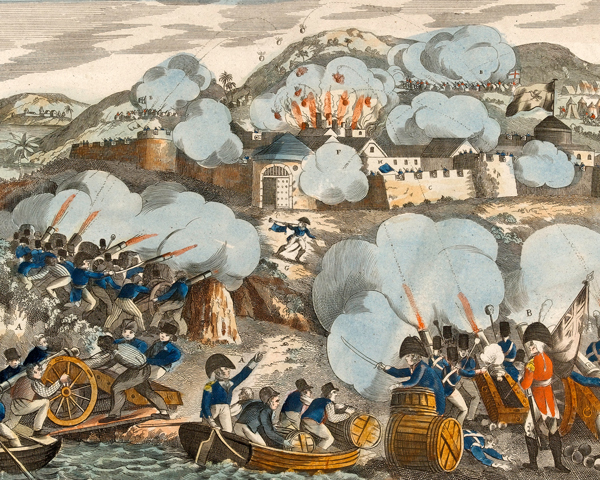 Following garrison duties on Menorca from 1768 to 1780, the regiment was sent to relieve Gibraltar during the American War of Independence (1775-83). From 1782 to 1805, it switched affiliation to Sussex. 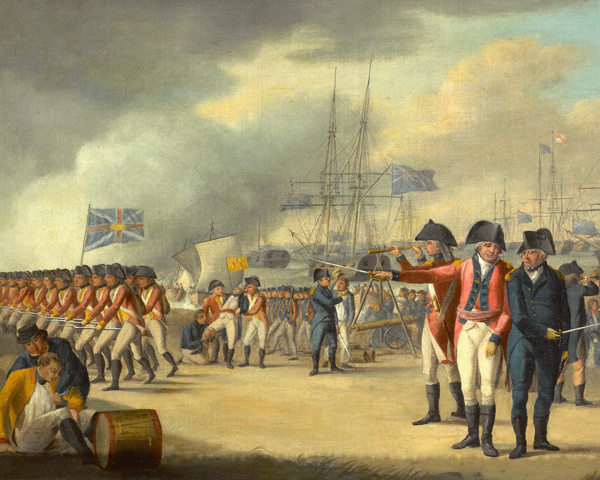 Early in the French Revolutionary Wars (1792-1802), the regiment served as marines, participating in Admiral Howe's victory of the Glorious First of June (1794) and in the capture of Corsica (1794). By 1795, it had returned to an infantry role. It also raised a short-lived 2nd Battalion for a year, which served in the West Indies alongside 1st Battalion. 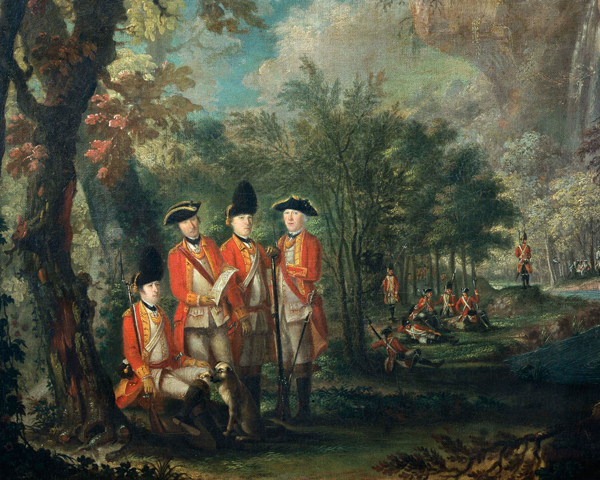 The regiment was then sent to the Netherlands in 1799, where it fought at Egmont-op-Zee. Two years later, it took part in the capture of Alexandria in Egypt, earning the right to bear a Sphinx on its Colours. It formed another 2nd Battalion in 1804. Initially stationed in Berwick, this was later sent to Sweden and the Netherlands before its disbandment in 1816. In 1805, the regiment was renamed ‘The King’s Own Borderers’ after King George III. Then, in 1808, 1st Battalion was assigned to amphibious operations in the West Indies, helping capture Martinique (1809) and Guadeloupe (1810). For most of the 19th century, 1st Battalion garrisoned Ireland, the West Indies, South Africa, India, Gibraltar and Malta. It also helped put down the Fenian Raids (1866-71) in Canada. In 1878, it joined the Second Afghan War (1878-80), serving in the Bazar Valley and Khyber Pass. It later garrisoned Burma and took part in the Lushai Expedition (1889-90) on India’s North East Frontier. A new 2nd Battalion had been formed in 1859. This served in India and Aden before fighting in the Sudan (1888). It then returned to India, joining the Chitral (1895) and Tirah Expeditions (1897) on the North West Frontier. As a two-battalion regiment, it avoided being merged during the Army reforms of 1881. Based in York at the time, it was suggested that the regiment be renamed ‘The York Regiment (King’s Own Borderers)’. Following a campaign against this, it dropped its numeral but retained the title ‘The King’s Own Borderers’. In 1887, on becoming the county regiment for four south-eastern Scottish counties, it added ‘Scottish’ to its name. From 1900 to 1902, 1st Battalion was fighting in the Boer War (1899-1902). This included service at Paardeberg (1900), Rustenberg (1900) and Vlakfontein (1901). 1st Battalion was in India on the outbreak of the First World War (1914-18). It went on to serve at Gallipoli (1915), before arriving on the Western Front in March 1916. 2nd Battalion remained on the Western Front for most of the conflict, barring five months in Italy from November 1917. The regiment also raised 14 Territorial, New Army and Garrison battalions. These were awarded 66 battle honours and four Victoria Crosses. The regiment lost over 7,700 men during the war. The inter-war period saw 1st Battalion fighting on the North West Frontier in 1921, garrisoning India and then moving to Palestine. In 1922, 2nd Battalion became one of the last British units to be stationed in southern Ireland before independence. It spent the rest of the inter-war period in Egypt, Hong Kong and India. 2nd Battalion was still in India on the outbreak of the Second World War (1939-45), remaining there until its deployment to Burma in November 1942. There, it went on to fight at the Battle of the Admin Box (1944) and Imphal (1944). In June 1940, 1st Battalion was evacuated from France, along with the Territorial 4th and 5th Battalions. 1st Battalion remained in Britain until landing on Sword Beach on D-Day in June 1944. 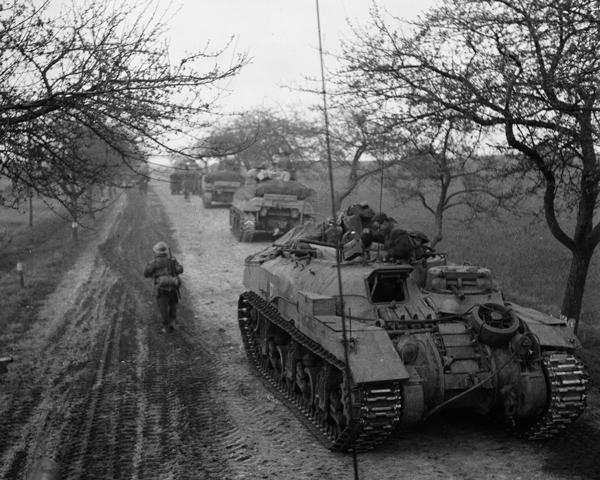 It then fought at Caen (1944). 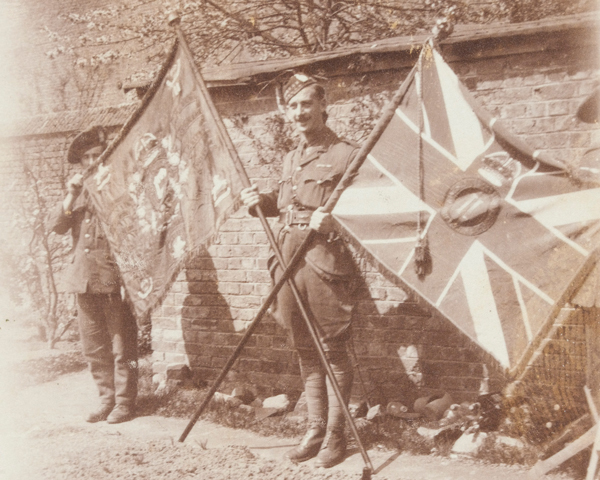 Several of the regiment’s Territorial battalions also saw action in North West Europe. 7th Battalion fought at Arnhem (1944), while the 4th and 5th landed at Walcheren (1944). In 1946, 1st Battalion returned to Palestine in the run-up to the British withdrawal. The regiment's two regular battalions were merged in 1948 and went on to serve in the Korean War (1950-53). Its engagements there included the First Battle of Maryang-san (1951). 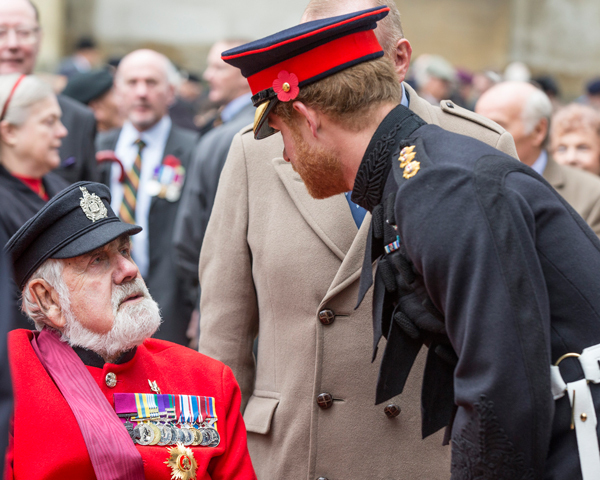 One of its soldiers, Private Bill Speakman, won the Victoria Cross during the conflict. The regiment also served in the Malayan Emergency (1948-60), before garrisoning Aden and Hong Kong in the 1960s. It spent the following two decades rotating between tours of Northern Ireland and Germany (with the British Army of the Rhine), and home postings to Scotland and England. It served in the Gulf War (1990-91) and again deployed to Iraq (2003-11) in 2003. Its final tour of Northern Ireland came in 2004. In 2006, it was merged with five other Scottish regiments to form The Royal Regiment of Scotland, becoming part of its 1st Battalion. Explore the history and collections of the King's Own Scottish Borderers by visiting the regimental museum at Berwick-upon-Tweed. This Scottish infantry regiment was formed in 1959. 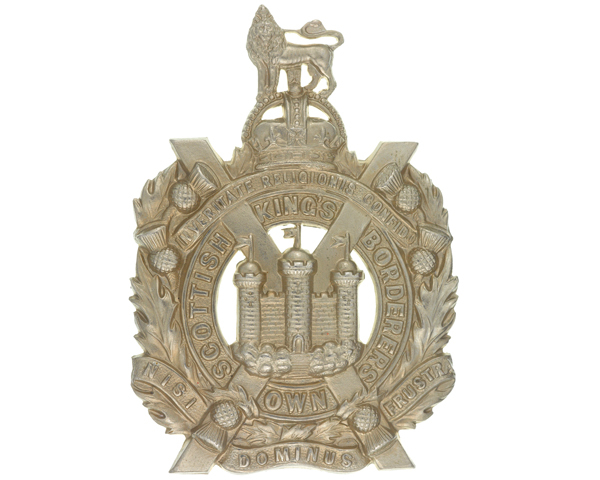 It existed until 2006, when it was merged into The Royal Regiment of Scotland.